WILLEMSTAD - The Kingdom ministers enjoy little trust in the Dutch public. Public opinion researcher Maurice de Hond examined the popularity of all ministers. 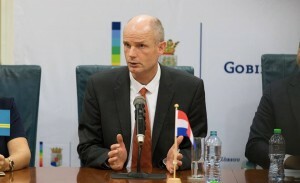 Minister of Foreign Relations Stef Blok dangles at the bottom because of his controversial statements about the multicultural society. The most dramatic is the outcome for Mark Rutte. Last year he was 4th, now the last one, now he is one before Stef Blok on number 15. Because only ministers are included in the survey, nothing is known about the popularity of the Undersecretary for Kingdom Relations, Raymond Knops.